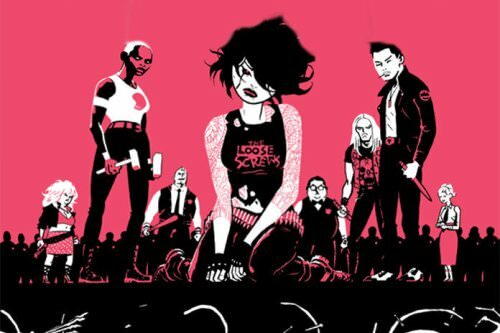 Meet the Deadly Class characters? 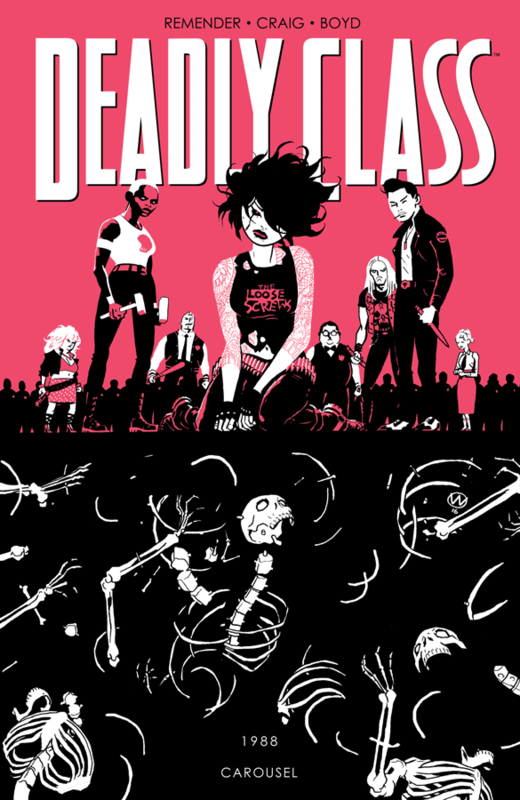 Meet the Deadly Class characters! 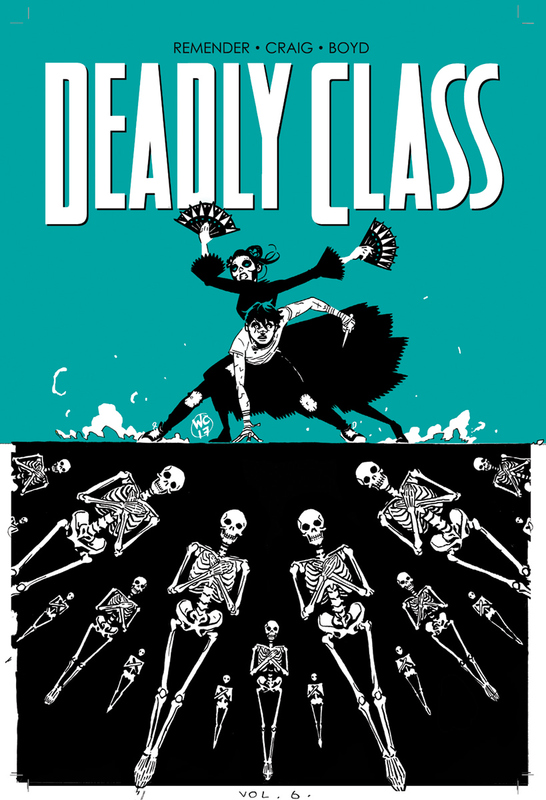 Deadly Class is a popular graphic novel made by Rick Remender set in a school of assassins. 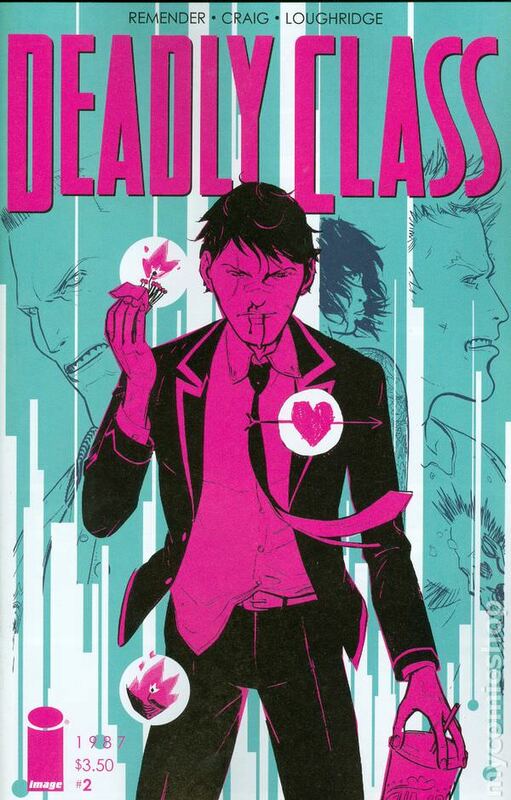 The novel is a coming of age story, full of teen angst but with higher stakes as the school is truely deadly. While the graphic novel has been a hit for awhile it is about to become even more popular as comic has now become a show appearing on the Syfy channel. Despite coming to the big stage many people still do not know who they are. 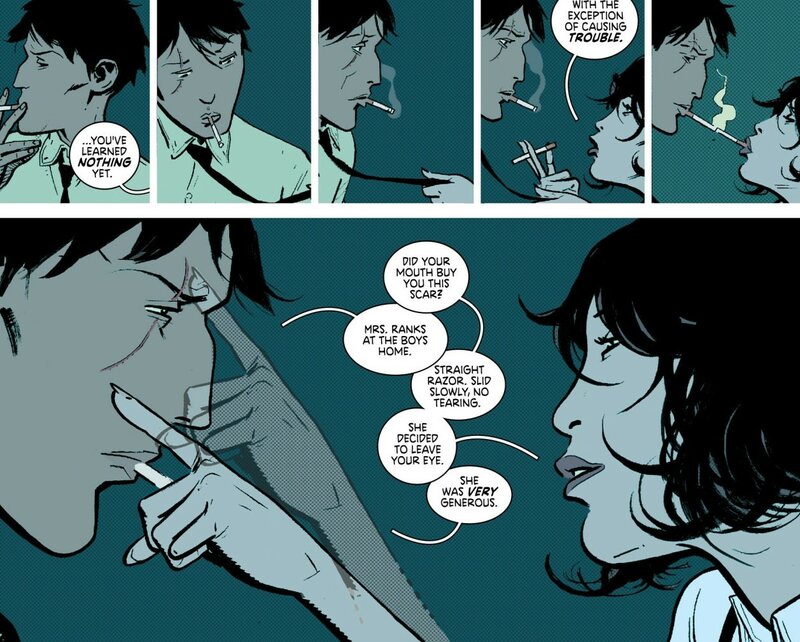 Here is a run down of the major characters in Deadly Class. We have tried to combine pictures of their comic counter parts with their TV appearance. 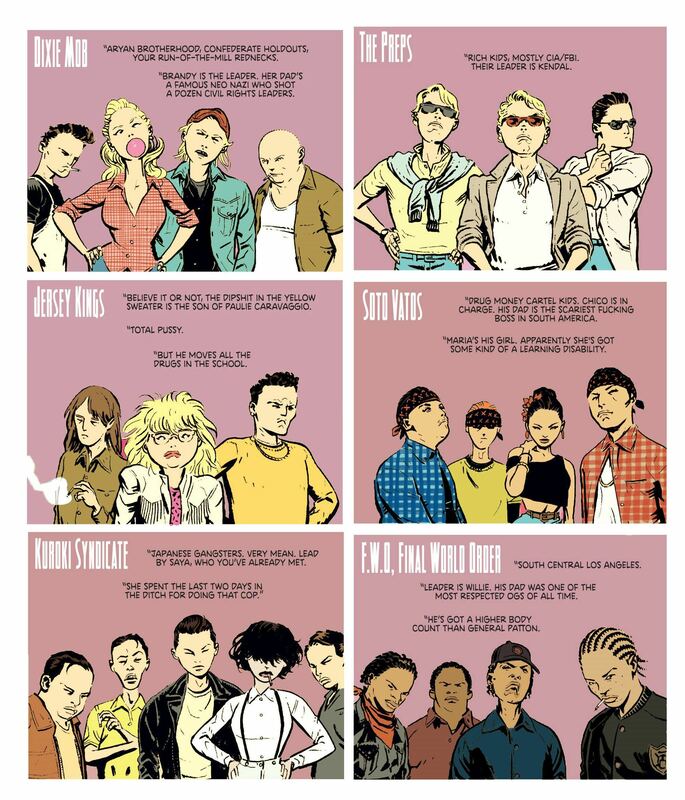 Deadly Class's high school features variants of cliques found in mnay high schools. The differences here is that these cliques have ties to various criminal, intelligence and gang organizations. Many of the characters come from one of these groups. The newest student enrolled into the King’s Dominion High School for the Deadly Arts. He plans to assassinate U.S. President Ronald Reagan, who he blames for the sequence of events that led to his parents' deaths. 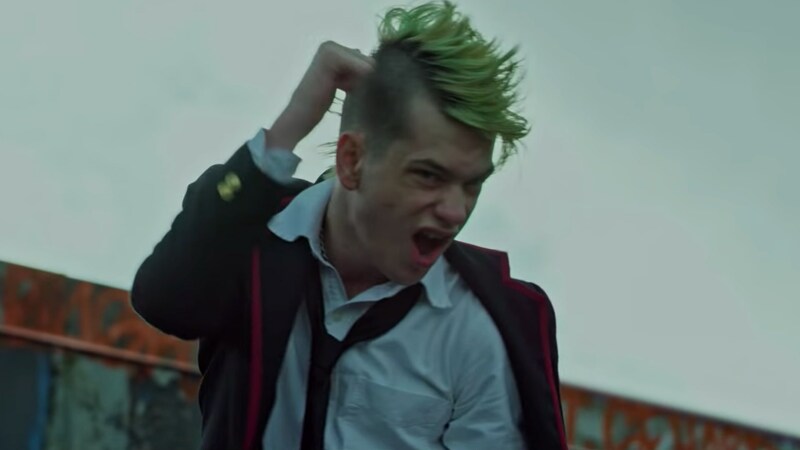 A student and leader of the Kuroki Syndicate at the King’s Dominion School of the Deadly Arts, who advocates for Marcus Lopez's admission, becoming responsible for him and his actions to a degree. One of the students at the King’s Dominion School of the Deadly Arts. A student at the King’s Dominion School of the Deadly Arts who often dons Mexican style skull face paint. 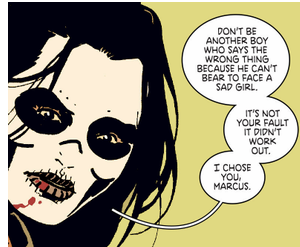 She was a love interest of Marcus Lopez and was recently killed via poison ingestion. 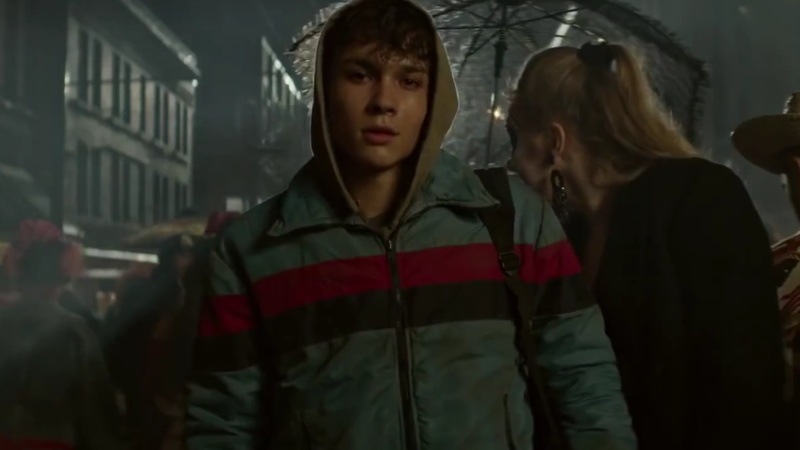 Student at the King's Dominion School of the Deadly Arts who attempts to convince Marcus Lopez to kill his father in Las Vegas. 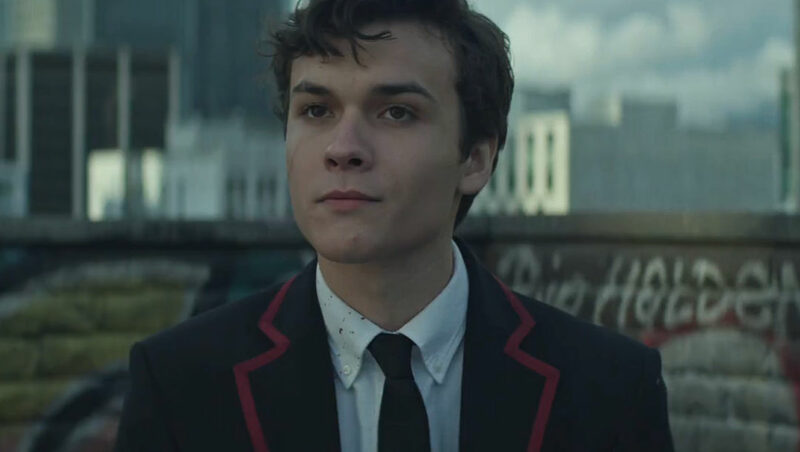 A student at the King's Dominion High School of the Deadly Arts, he befriends Marcus after a confrontation with Viktor. A student at King's Dominion High School for the Deadly Arts, and the son of Stalin's top assassin. Goth student at the King’s Dominion School of the Deadly Arts. A deranged orphan from Marcus Lopez's past, seeking revenge. 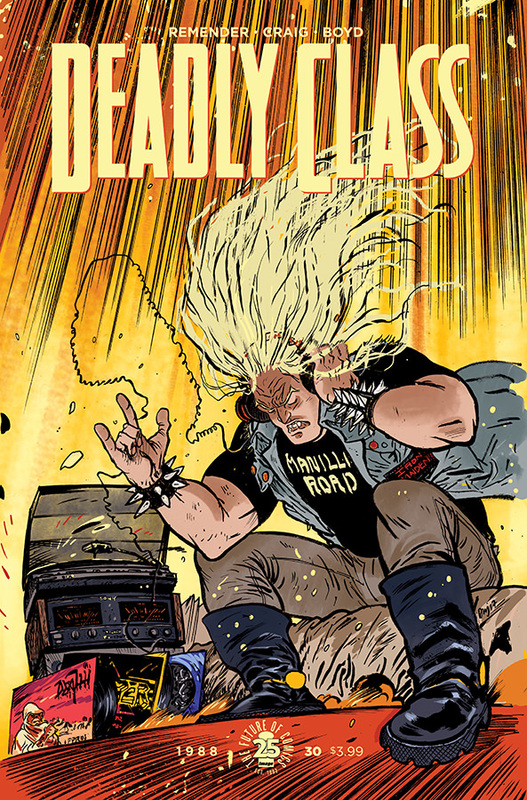 He leads his own family of equally deranged backwoods killers. 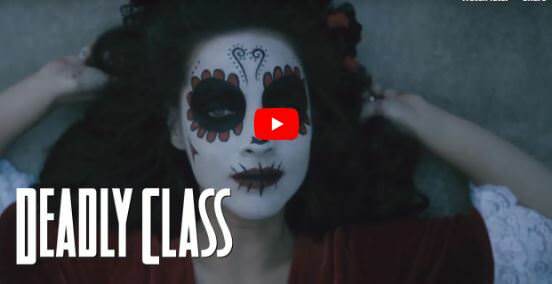 Leader of the Soto Vatos clique at the Kings Dominion School of the Deadly Arts, who tries to kill Marcus Lopez after his girlfriend Maria seduces him. Kelly Grogda is a female assassin at the King's Dominion Atelier of the Deadly Arts. She is considered unattractive by her classmates and is called The Troll behind her back. One of the new freshmen at King’s Dominion School of the Deadly Arts. One of the new freshmen, Likes heavy metal and battle axes. Ronald Reagan was the 40th president of the U.S. He was a member of the US military during the Second World War. He had various appearances in comic books issues. Who is the Common Wealth in The Walking Dead? What is the Daredevil: Fall from Grace story? Who is the Invisible Woman? Who really is Ebony Maw? Who are the Warriors Three? ALL NEW Dresden Files coming to TV? Who is Kraven the Hunter? So You think you know Doctor Strange?